Our Star Wars Celebration Chicago 2019 Pre-Show: Who We’ve Already Met « Midlife Crisis Crossover! For Star Wars Celebration 2002, legendary droid Anthony Daniels hosted a night-before event at Indy’s Castleton Square Mall sponsored by Suncoast Video. Remember them? 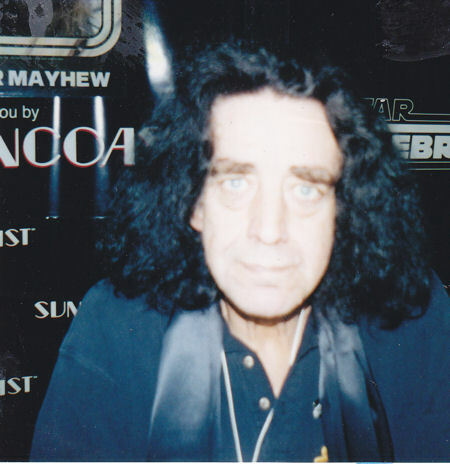 Somehow at SW 2002 we caught Peter Mayhew, the O.G. Chewbacca, at a rare moment without a line. 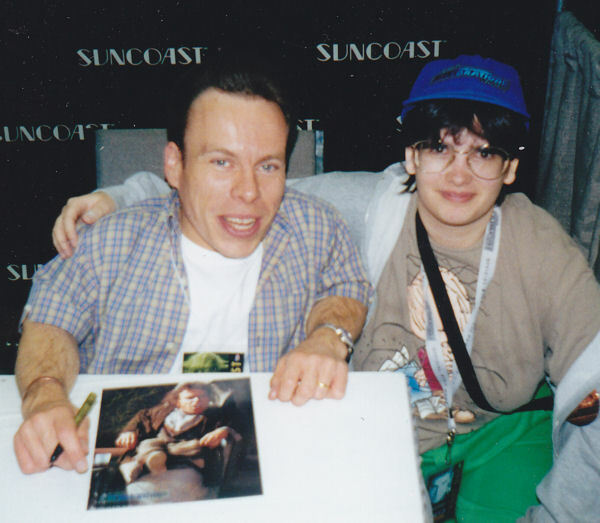 Also at SWC 2002: Warwick Davis, best Ewok ever. I should really get around to watching Willow someday. 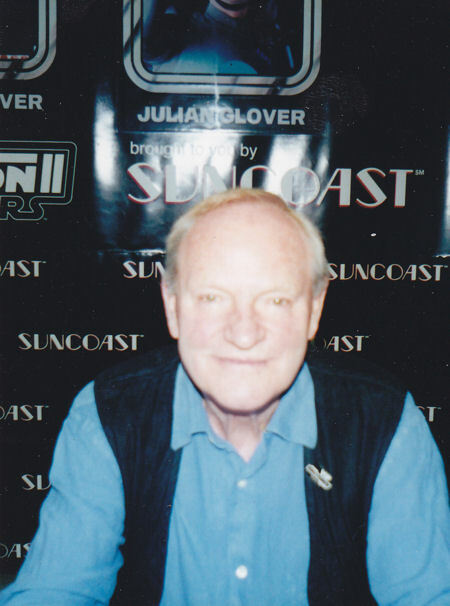 And then SWC 2002 brought in Imperial officer Julian Glover (Game of Thrones, Indiana Jones and the Last Crusade). 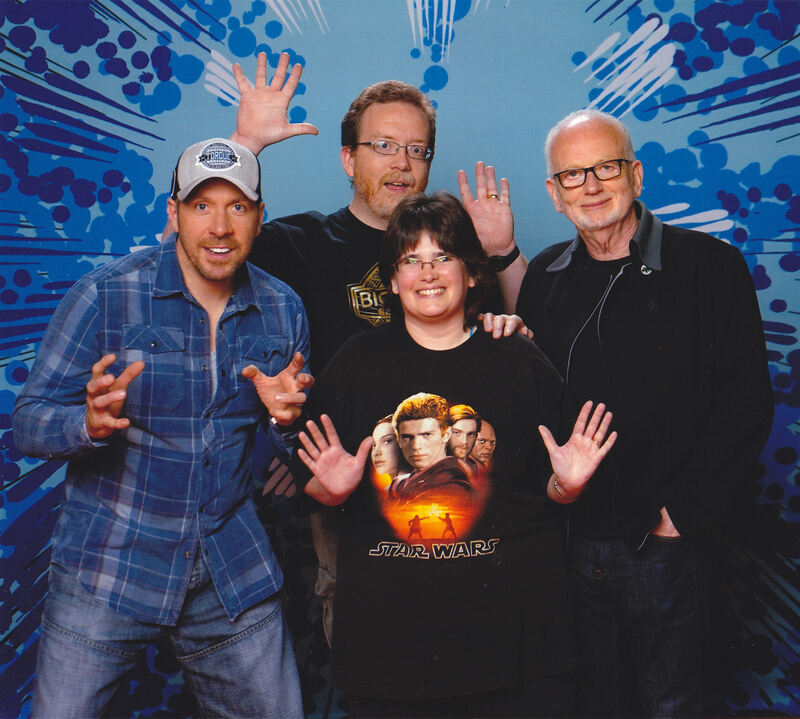 Indiana Comic Con 2016 reunited Ray Park and Ian McDiarmid, Sith Lord master and apprentice teaming up again for old time’s sake. 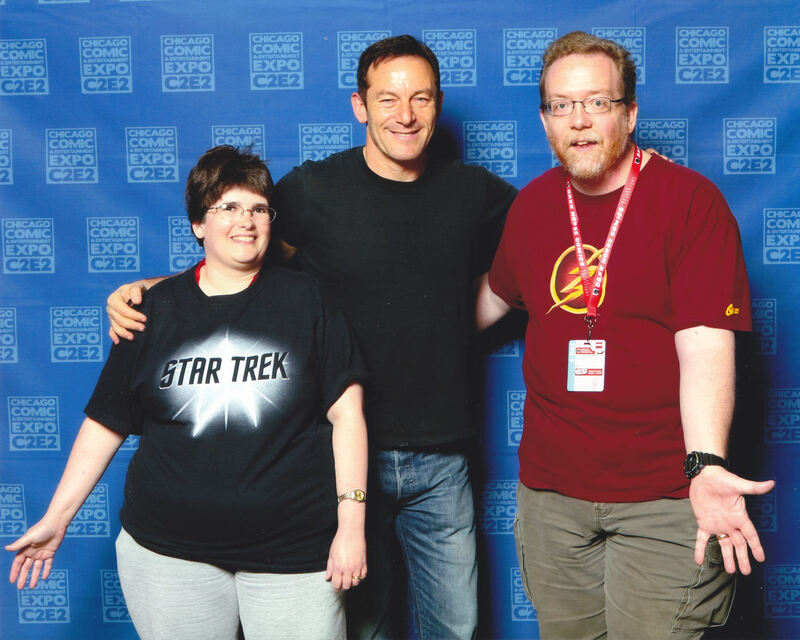 One of the biggest names at Cincinnati Comic Expo 2017 was Jason Isaacs. Sure, there was Lucius Malfoy and Star Trek: Discovery, but he also played a recurring villain on Star Wars Rebels, so he’s invited to SWC Chicago. C2E2 2013 recruited a trio of Star Wars all-stars. Once upon a time, Daniel Logan was kid Boba Fett from Attack of the Clones. More recently he played a “Captain Fett” in the fourth Sharknado. Yes, really. Again from C2E2 2013: Ashley Eckstein not only voiced the animated young padawan Ahsoka Tano from The Clone Wars onward; she also launched Her Universe, a line of fine geek-girl apparel. 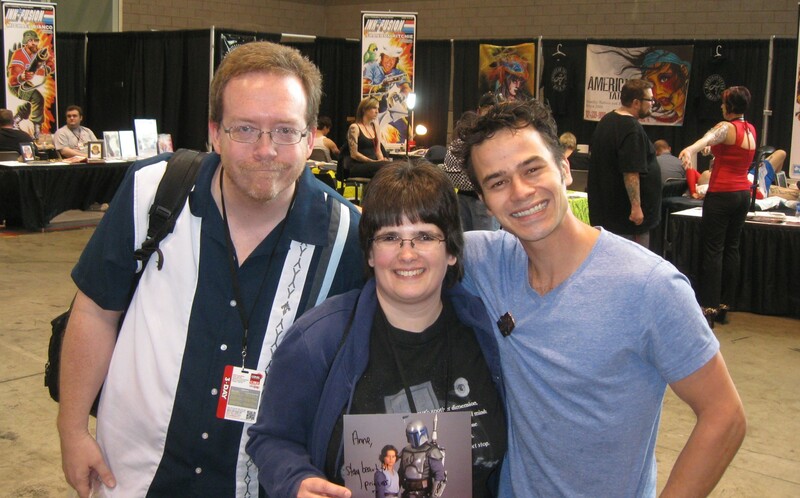 Concluding the “Star Wars Goes to C2E2 2013” trilogy is Orli Shoshan, a.k.a. Jedi Master Shaak Ti from Episodes II and III. Today she lives in Chicago and has a variety of professions going. 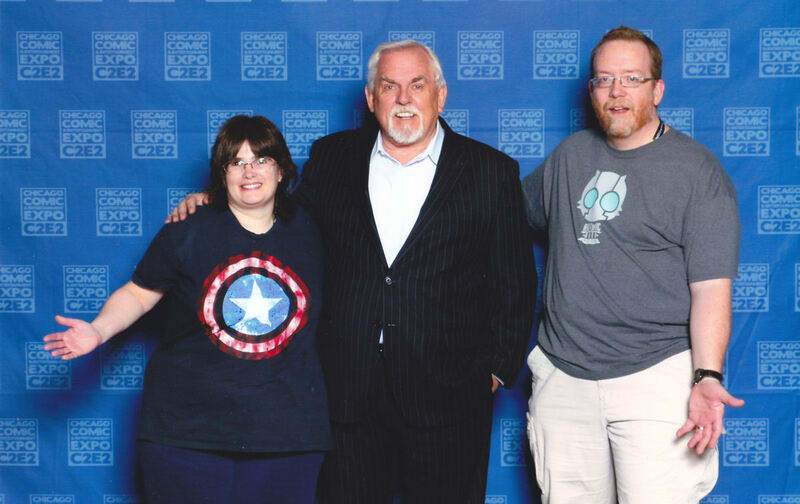 TV’s John Ratzenberger was welcomed to C2E2 2016 on the strength of Cheers and Every Pixar Film Ever, but Star Wars fans know of his blink-and-miss-it role in The Empire Strikes Back. So yeah, Cliff Clavin is coming to Celebration! 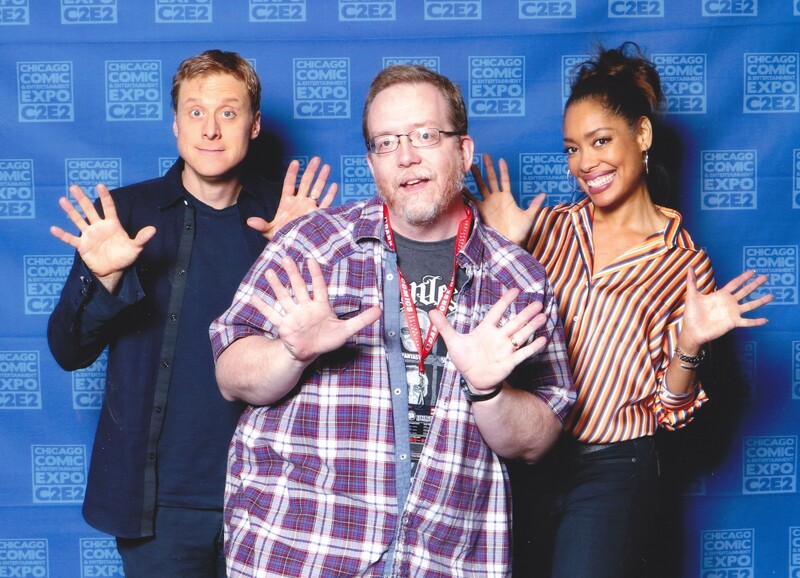 I first met Alan Tudyk at Wizard World Chicago 2013, but I got a much better pic of him at C2E2 2018 with his Firefly wife Gina Torres, who also has a few Star Wars voice credits but will not be at Celebration Chicago. Tudyk voiced the snarky droid K-2SO in Rogue One, not to mention various oddballs in Disney’s last six animated films. We’ve also met a few writers from the Star Wars universe. 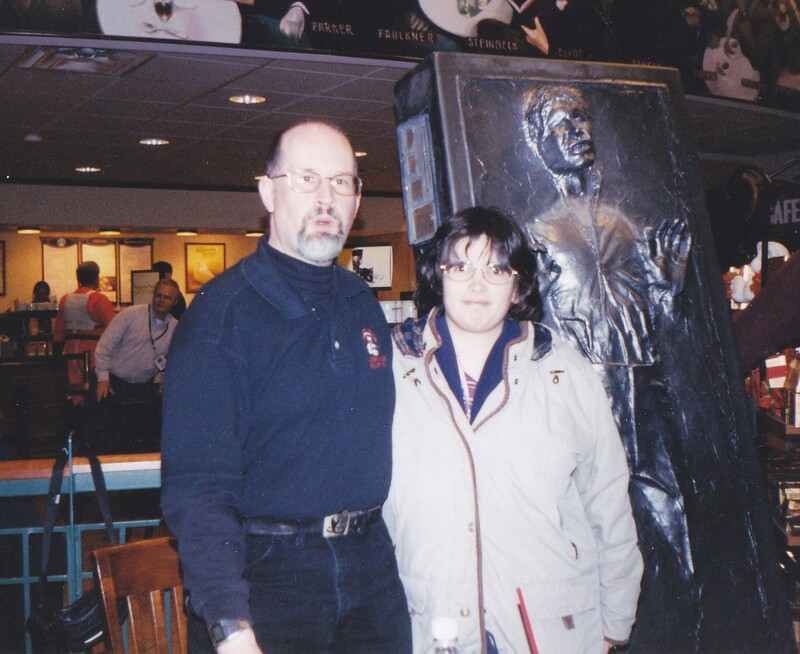 In February 2004 Anne managed a 24-mile solo drive to an unfamiliar side of town to meet novelist Timothy Zahn, creator of Grand Admiral Thrawn, at a Barnes & Noble signing. 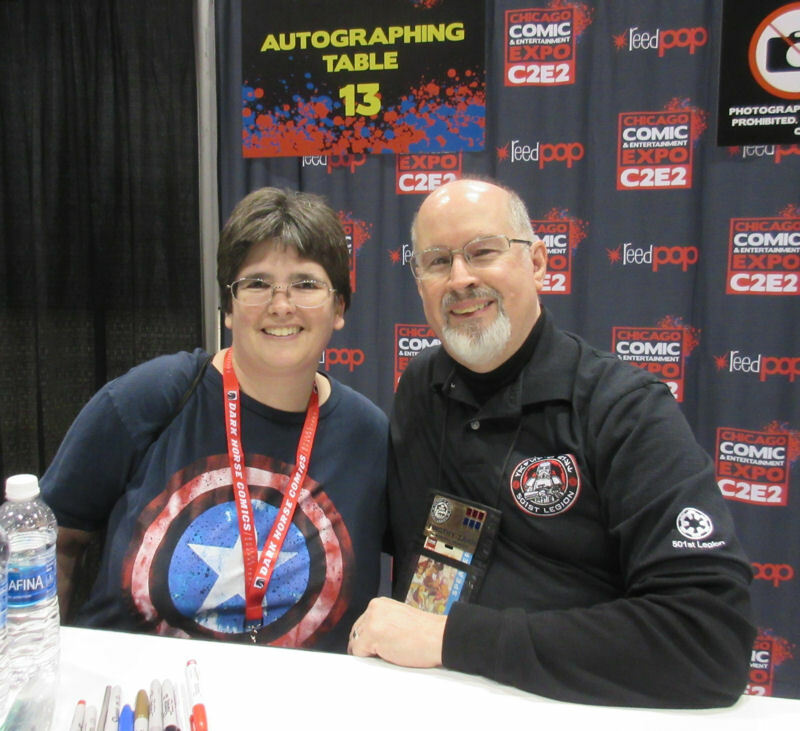 13 years later at C2E2 2017, Anne finally got her wish for a vastly improved retake with Zahn. 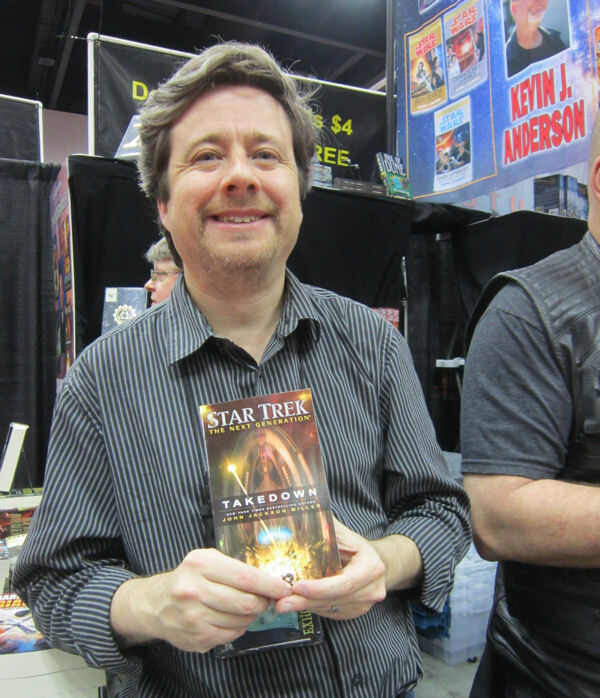 Before Dark Horse Comics relinquished the Star Wars comics license to Marvel, John Jackson Miller made his mark on such series as Knights of the Old Republic. And as seen here at Indiana Comic Con 2016, yes, he’s dabbled in other universes. 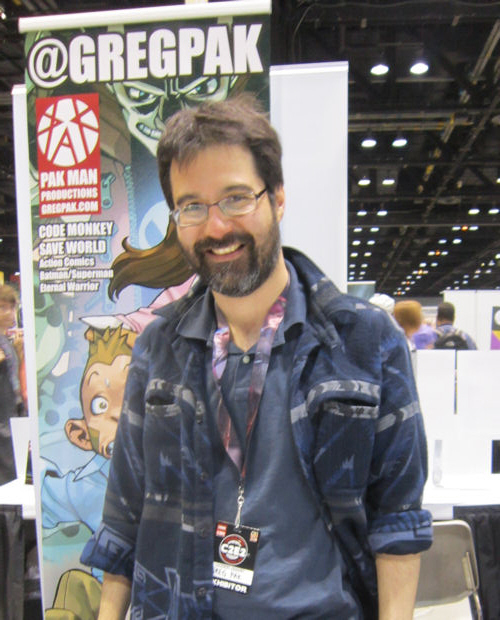 Live from Artists Alley at C2E2 2014: comics writer Greg Pak’s greatest contribution to society so far was arguably Planet Hulk, the celebrated arc that had several elements adapted into Thor: Ragnarok. He’ll be at Celebration Chicago on Saturday discussing his plans to take over Marvel’s Star Wars ongoing series this summer, among other relevant projects. 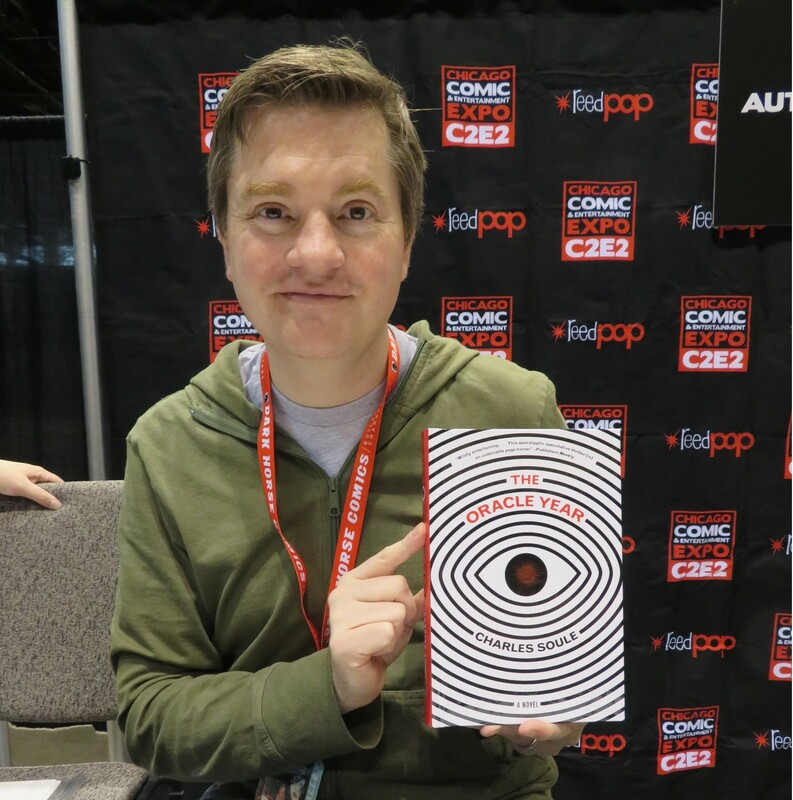 We’ve met writer/lawyer Charles Soule three times at C2E2, seen here from 2018 with his roller coaster of a debut novel, The Oracle Year. He just announced Tuesday night he’ll be popping in Sunday and Monday for limited signings and at least one panel. 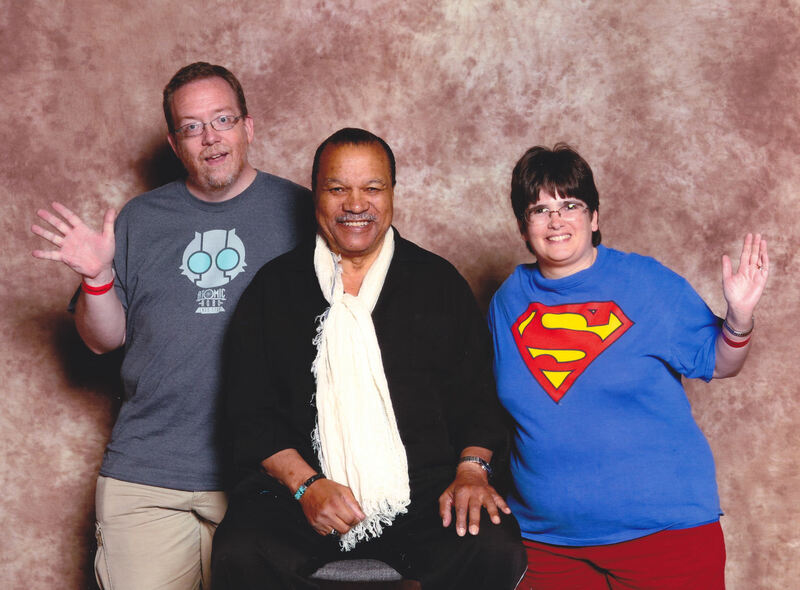 We’ve even met one of this year’s panel hosts. These are all awesome folks at Indiana Comic Con 2015, but at far left is the relevant Amy Ratcliffe, Managing Editor at Nerdist Industries. With her impressive credits at a multitude of geek sites, she’ll be meeting and introducing other awesome folks at Celebration Chicago. Final tally: that’s thirteen actors, four writers, and one geek host. Tens of thousands of Star Wars fans will be lining up this weekend at Celebration Chicago to meet them and more! Meanwhile, Anne and I will be seeking out the “more”. Updates as they occur! 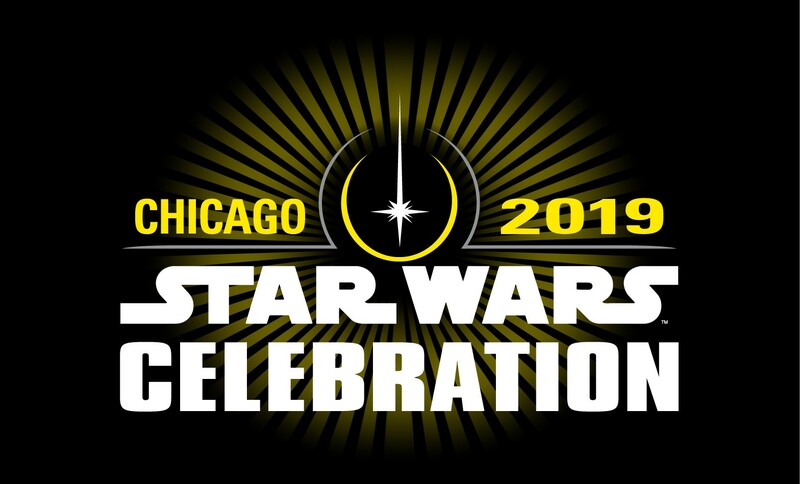 Watch this space for Star Wars Celebration Chicago 2019 updates! 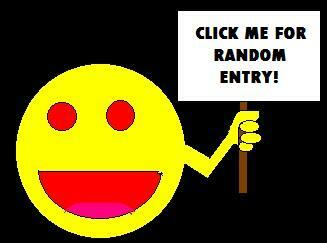 Or check my Twitter feed for live whining if/when everything goes wrong and I start making rueful Fandom Fest jokes! That’s when you’ll know to send in a rescue party.